PARETO FINANCIAL PLANNING – the Manchester based independent financial adviser – celebrated its 10th birthday last week with an exclusive party at 20 Stories. Founded by John Stevenson and George Chantry in 2008, the business has gone from strength to strength and now has funds under influence totalling more than £500m for an array of clients including high net worth individuals and owner managed businesses. To celebrate the milestone, the award-winning firm hired out 20 Stories and welcomed more than 300 clients, partners and friends of the business. Guests were treated to an evening of food, drink and entertainment, including performances by speed painter Dave Sharp, plus the Happy Mondays’ Rowetta and legendary Hacienda DJ Graeme Park. Dave Sharp’s stunning paintings – of Muhammed Ali and Winston Churchill – took just 7 minutes each to create and were auctioned off to raise money for Beechwood Cancer Care and Manchester Mind. 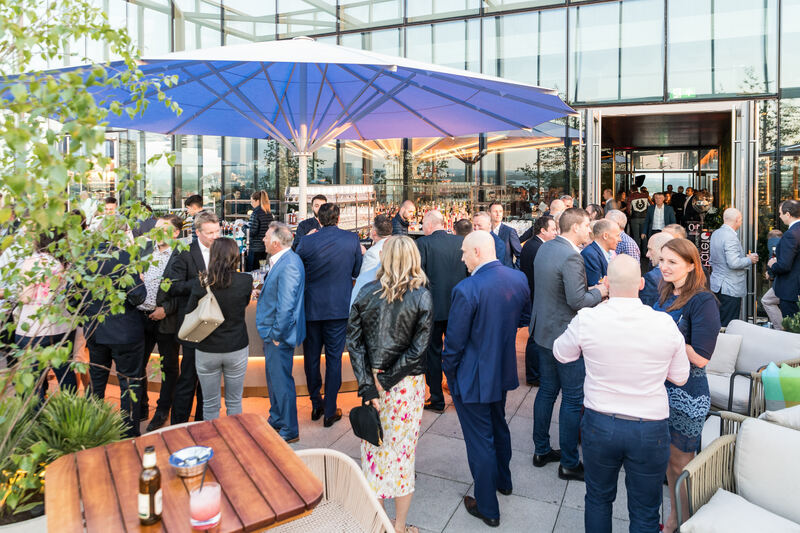 The most notable absentee was the infamous Mancunian rain, allowing guests to soak up panoramic views of the city from the outdoor roof terrace of the recently launched restaurant and bar. Pareto Managing Director, John Stevenson, said: “It’s been a fantastic journey since we started in 2008, and we wanted to say a massive thank you to our loyal clients, partners and friends of the business, which have all been so instrumental to our success.